What today is the history museum of the city, was formerly an ancient cathedral and a visit is most curious. It's a strange feeling to find instead of benches facing the altar, a counter selling books and memories. You walk around where there should be found faithful, ancient fountains (the original ones of the city are located here) and pieces of great historical significance. Curious and recommended at the same time. Located in four separate buildings, one of the most important museums of cultural history in the Upper Rhine. 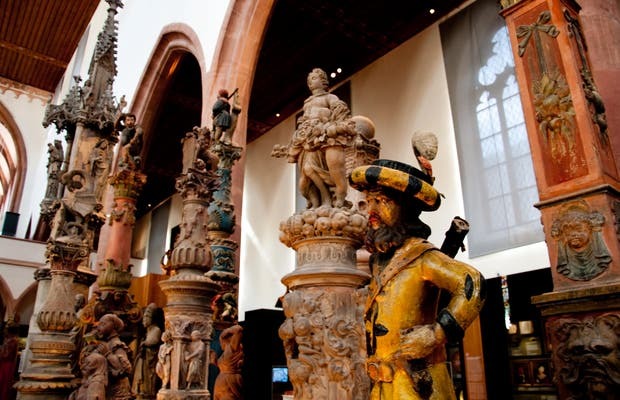 The permanent exhibition focuses on the historical role Barfüsserkirche Basel at the crossroads of three cultures: Switzerland, Germany and France. Historical accounts and art, show the history of the city in the last thousand years.